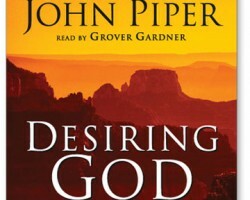 Listening to a sermon by John Piper became an overwhelming “aha!” moment. If you’ve ever listened to one of his sermons you know how deep and detailed he is with God’s Word and application. In my “aha!” moments, I was reminded of two very profound truths about Jesus. 1. If God sent his ONLY son to ultimately die on the cross for you what do you have to fear in man and in the world? His emphasis on sending His son to die for our sins was chill bump city! Why would I fear mere man and his follies? I have a God who adores me and loves me so much that He sent His only son to rescue me. 2. In reading the Psalms you find the depths of a human crying out to God and asking bold questions. Have you ever been in a situation in which you are someone else questioned God or made a bold statement of spiritual frustration? He likened it to spiritual depression. His series is entitled “Thinking and Feeling with God’– a study of the Psalms. Let it go. Don’t linger on judgment of yourself or the other person. Do you know how freeing it is to consider letting the words go with the wind and begin a new day? If we truly believed His mercies are new every morning, then perhaps we would be less critical of ourselves and others. FREEDOM from obsessive thoughts and bitterness. If you have a smart phone, you can download his app–Desiring God. Each day has a short devotional to read and a sermon to listen to. Right on time lady bug.. I Love You! It was for me too! It gave me Godly permission to not be perfect and those who have offended–to let it go with the wind! How freeing!